GoPro has been making action cameras for a long time and they’ve become the go-to brand when it comes to action cameras. Each new Hero camera has brought new features and innovation and the HERO5 Black is no exception. I’ve been using the HERO5 Black for a few weeks along with the Karma Grip stabilizer and I would say that this is easily GoPro’s best camera yet. 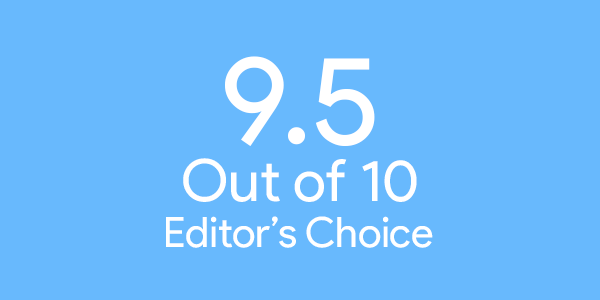 Editor’s note: Even though I did use the HERO5 Black with the Karma Grip, I won’t be talking about it as much in this review, this review will mostly focus on the HERO5 Black. 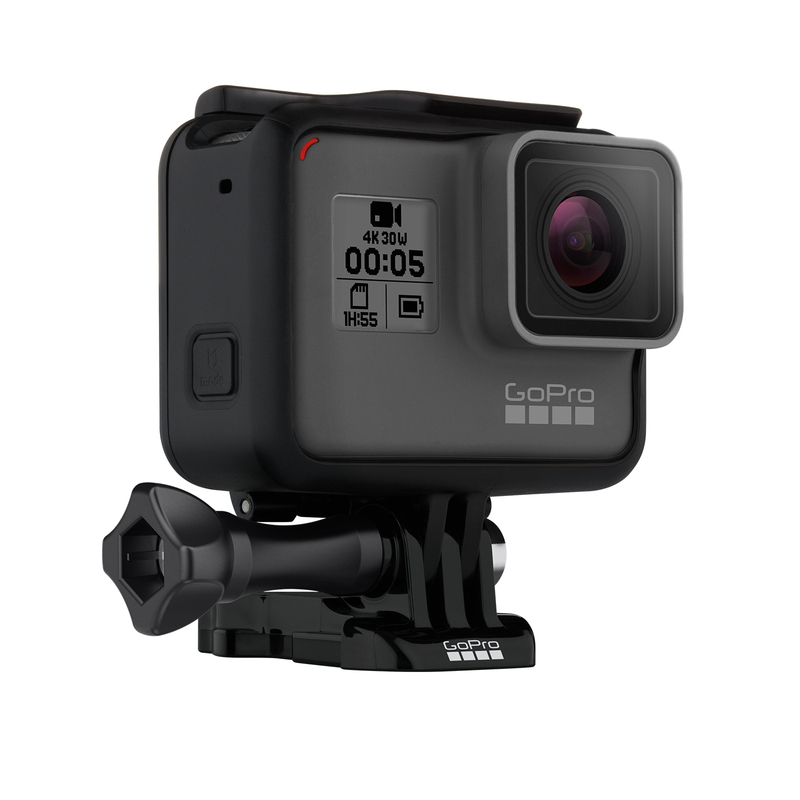 The HERO5 Black has a similar rectangular design to previous models but the HERO5 Black is also fully waterproof up to 33ft (10m) without any additional housing. The exterior of the Hero5 Black has a rubberized feel to it which makes it feel like a rugged device and would be able to handle any adventure that you take the HERO5 Black on. The front of the device has the main camera lens which protrudes outwards like the HERO4. Beside the lens is a small monochrome display where you’ll see what resolution you’re shooting in, how much you can record on your microSD card and the battery life. To the top left of the front, is a red light which lets you know when you’re recording. 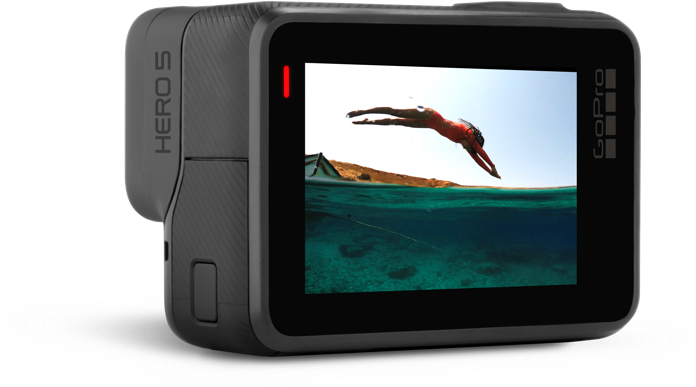 On the back of the HERO5 Black is the 2-inch touchscreen, which is where you’ll be controlling the device. I did have a few issues with the touchscreen, where I would tap on it and instead of going to that setting, it would just minimize all the options. On the right side of the device is the mode button which allows you to change between modes, if you don’t want to use the touchscreen. The left side is where you’ll find a door which is removable and hides the USB Type-C port and the mini-HDMI port. When using the HERO5 Black with the Karma Grip, you’ll need to remove this door, which can be a little tricky and a bit stiff. The bottom of the device is where you’ll find the door to the battery compartment and the microSD card slot which supports up to 128GB (at 150MB/s). The HERO5 Black has a bit of heft to it but overall it feels solid to hold in the hands. 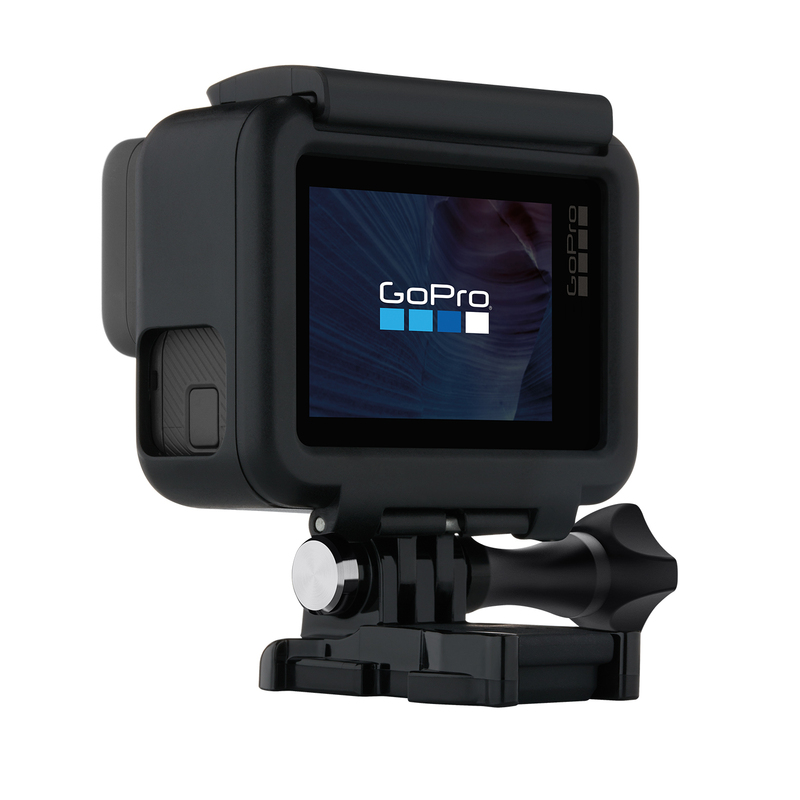 The HERO5 Black is also compatible with all GoPro mounts. 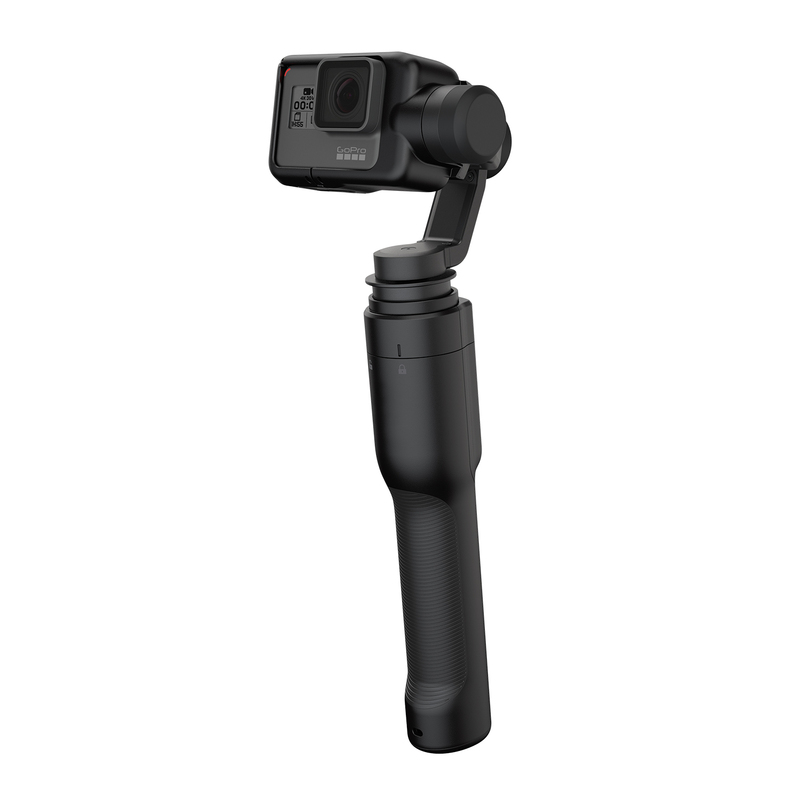 Now onto the Karma Grip, initially the Karma Grip was included with the GoPro Karma Drone, because the stabilizer was used as the gimbal for the drone. But just a few short weeks after the drone became available, GoPro issued a recall because some Karma Drones were falling out the sky due to power failure. That’s when GoPro decided to release the Karma Grip on its own which works pretty well and is simple to use. To use the Karma Grip, all you have to is point to an object/ the direction you want the camera to face and then press the lock button to focus. On the grip, there a record button, the focus lock/battery indicator button, a highlight button, a power/mode button. 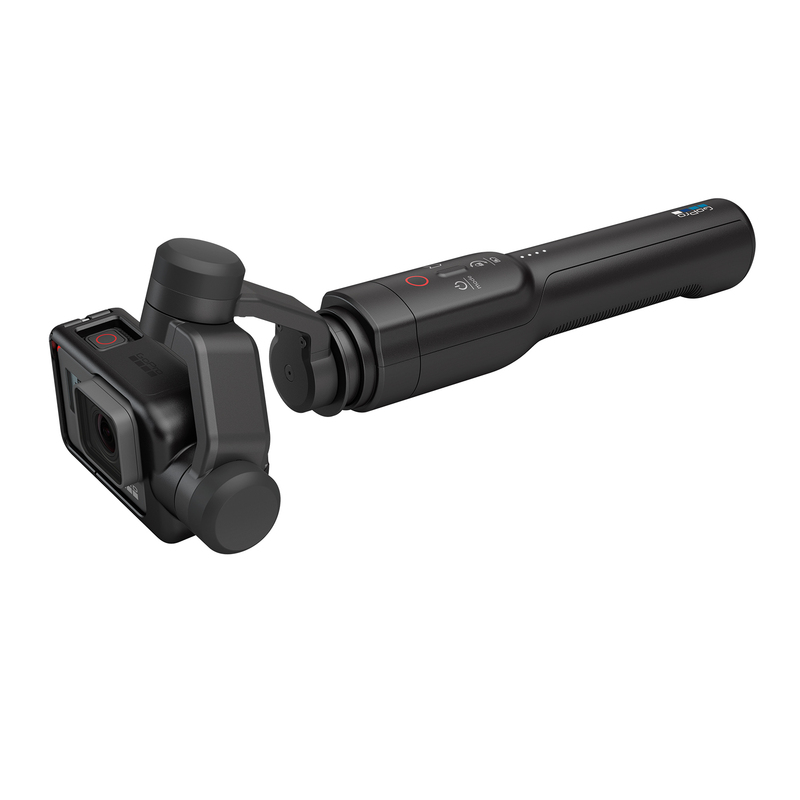 The Karma Grip also charges over USB Type-C which makes it much easier because HERO5 Black charges over Type-C as well. Overall, the Karma Grip is a solid device but the point to focus takes some getting used to. There are so many stabilizers out there that are much cheaper than the Karma Grip, which goes for $400 CAD. The Karma Grip does come in a nice carrying case, which is hardened, so the stabilizer and the camera won’t get damaged. 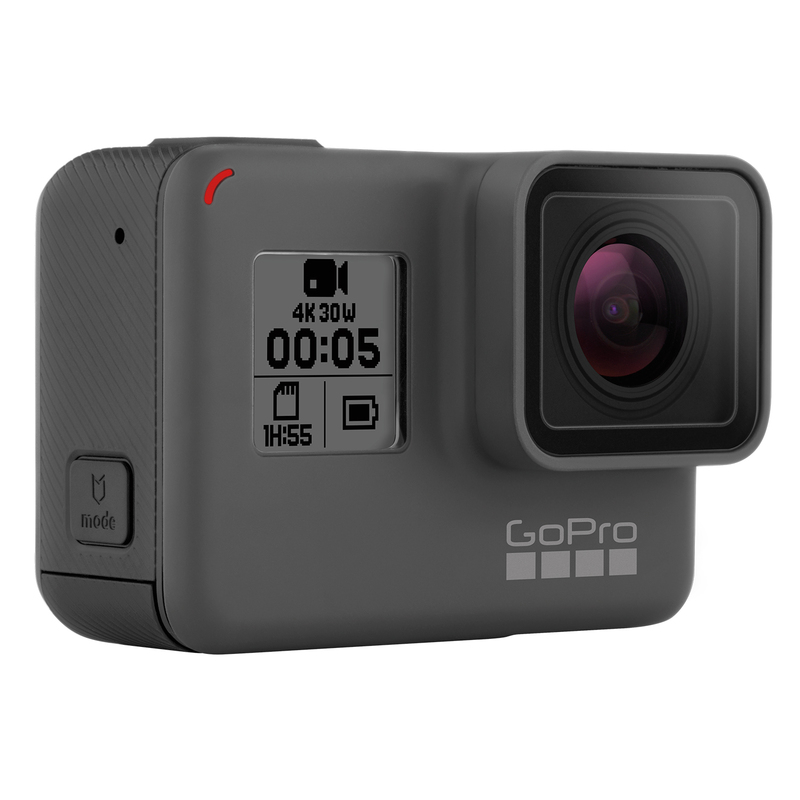 The GoPro HERO5 Black retails for $549 CAD and is available at BestBuy.ca, Amazon.ca and the Karma Grip is also available at Best Buy and Amazon. One of the biggest reasons that someone would buy a GoPro would be for the quality of the camera in a small compact form. The image quality on the HERO5 Black is excellent, videos looks great and so do photos but can sometimes look washed out. Videos are crisp and show accurate colours and with the Superview field of view on the HERO5 Black, it gives you a wider range and captures more of the scene. Previous GoPros would have a give a fisheye view in videos but with the HERO5 Black, you do have the option to give your videos that effect, you can also change the type of field of view that you want. The HERO5 Black is capable of taking up to 4K video at 30fps and slow-motion video at up to 240 fps. The camera can also take 12-megapixel still images, burst shots, time-lapse video and photos. Switching between modes and the time it took to go from off to starting to record was quick and easy. The HERO5 Black also has professional-grade electronic video stabilization, so your videos will turn out even better. The user interface on the HERO5 Black is very simply and straightforward. The new touchscreen on the HERO5 Black makes it much easier to use, even though I had a few issues with it. Just like previous GoPro cameras, the HERO5 Black can connect to your smartphone, so you can look at footage or use your phone as a viewfinder for your HERO5. The HERO5 Black also support voice commands in 7 languages, so you can easily say, “GoPro, start recording” and other camera functions. I didn’t find myself using the voice controls that often but they were still nice to have, especially if you’re going to use the HERO5 Black while it’s in a mount, in which you might not have access to the actual device to control it. Overall, I really enjoyed using the HERO5 Black and the Karma Grip. The HERO5 Black is one of the first GoPro’s I’ve ever used and I had a great experience with. While I wouldn’t wholeheartedly recommend getting the Karma Grip, I would definitely recommend getting the HERO5 Black if you’re looking for one of the best action cameras round.